Whether an unforgettable night out with friends, a safe ride to the airport, or the latest creation from a favourite local restaurant - an Uber gift card is filled with possibilities. 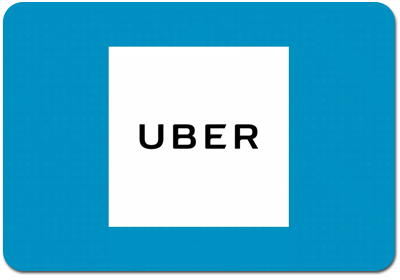 Redeemable via the Uber or Uber Eats app within Australia. By using this gift card, you accept the following terms and conditions: This gift card will expire three years from the date of activation. Cards issued prior to the 31st March 2018 will expire 1 year after date of issue. Upon expiration, unused funds will not be refunded or credited. This card is redeemable via the Uber or Uber Eats app within Australia in cities where Uber or Uber Eats is available. The card is non-reloadable and cannot be redeemed for cash, refunded, or replaced, except as required by law, including the Australian Consumer Law. No change will be given. You may be required to add a secondary payment method to use this gift card with the Uber or Uber Eats app. Lost or stolen cards will not be refunded or replaced, so treat this card like cash. This card is issued by Uber Pacific Pty Ltd. For full terms and conditions and customer service, visit uber.com/legal/gift-cards/en-au.